I'm finally back! 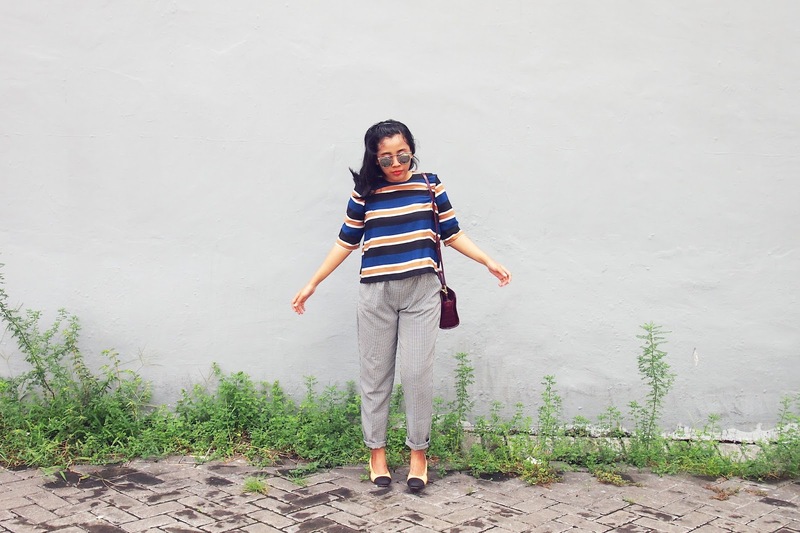 It's been like more than a month since the last time I stood in front of the camera doing ootd shot. I feel like it's the first time in forever. You can sing my post title with me, if you know what I mean (Frozen movie). 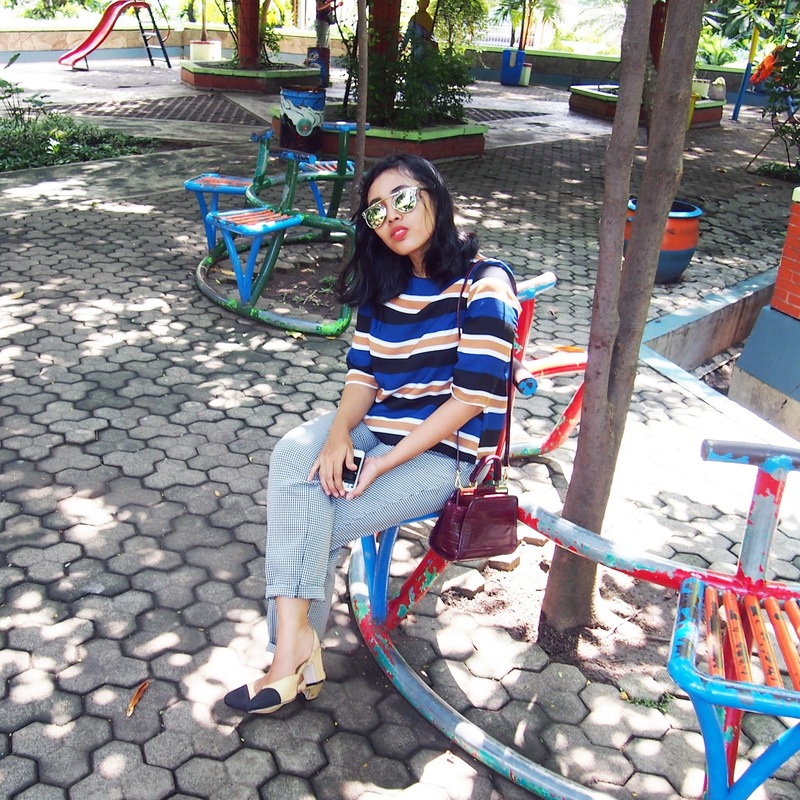 Yes, due to my kkn days, I had to subserve a village for a month so I had no time to doing ootd shoot. And can you guess what's the first thing I did when I back home? First thing first, let me tell you that I'm the kind of people who said what I truly like. A few months ago, THIS IS APRIL opened their new store in my town. It looks like an ordinary store from outside so I don't feel very fond of it. But then I tried to go inside and I thought that I finally found my favorite store! I visit the store whenever I go to the mall and miraculously, I always find at least one item that I love and buy in sudden. And they always update their items so it's always refreshing to go there because you feel like there will be new arrivals waiting for you. you look aamazing in this outfit! Suuuch a cute outfit. I love those pants! I took almost a month off of blogging...it felt so weird to take photos again lol. Love your outfit Zun! Always kece! 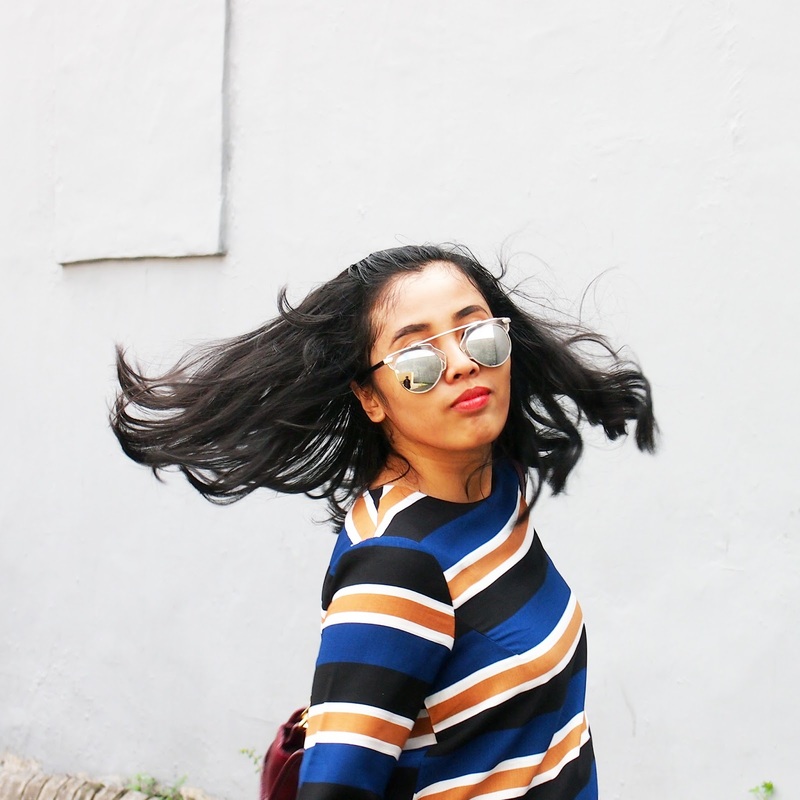 And yes, I agree with Rizki Muhammad Ridwan Situmorang, love your photo when you flip your hair. that glasses is so fun! Its very nice look. 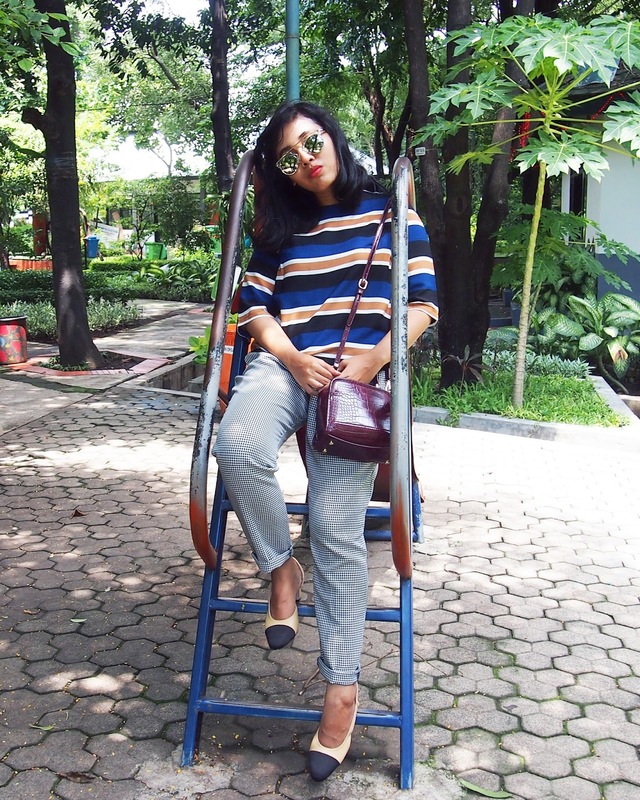 You look good in this stripped blouse, because pants is grey and at all it is very nice combo. I like it!